The new Escrow lander at Bodis.com. Bodis, the extensive PPC and domain monetization system, has been expanding on its current services.  “We have recently launched our new “For Sale” landing pages for parked domains. These new forms have been drastically improved in both aesthetics and functionality. The two new landing pages integrate very nicely with the aesthetics of other Bodis templates and landers. 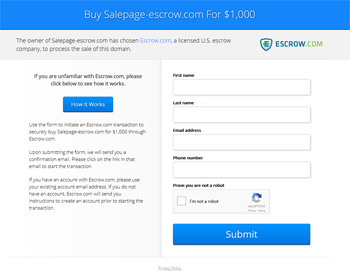 The Escrow lander allows users to set a BIN price for the domain name, and it is integrated with Escrow.com, through which the transaction occurs. Setting the Escrow.com account details takes just a few seconds, according to Bodis. The second new lander is the Inquiry page.  It allows a prospective buyer to fill out the form and it forwards the message and offer to the seller. This is great news for everyone wanting to bypass PPC monetization and maximize their sales leads at Bodis. For more information, visit the official Bodis blog. Note: Bodis is a premium DomainGang sponsor.